Hayley Elizabeth Atwell is the British and American actress who played the lead roles in The First Avenger and the American crime series Agent Carter. Hayley was born on April 5, 1982, in the capital of Great Britain; she spent her childhood in London. The mother was English, and the father was American; thus, the girl received the double citizenship. They were outstanding people. The mother was an excellent speaker; her daughter was also interested in public speaking, although she dropped it later. The father worked as a massage therapist and took up parapsychology and shamanism; he also liked photography. When the girl turned two, the parents divorced. Atwell stayed with her mother, but the relationship with the father was good as well. The mother often took Hayley to workshops and other events, but the girl was not impressed much. The would-be star attended the Sion-Manning Roman Catholic Girls' School; after the graduation, she entered the Guildhall School of Music and Drama. At the age of 23, Atwell started studying philosophy and theology at the King's College London, but she still hoped to become an actress and frequented auditions. Hayley took an interest in acting when she went to the theater school: she regularly participated in students’ performances, although she had to play minor roles of cute animals or trees. Atwell was managing nicely, yet the teacher said the young actress had no chance with her looks when she asked for a lead part. Thus, disappointed in her talent and perspectives in the acting career, Atwell chose the King’s College. Fortunately, the beginning actress got lucky, and her cherished dream to star in movies came true. 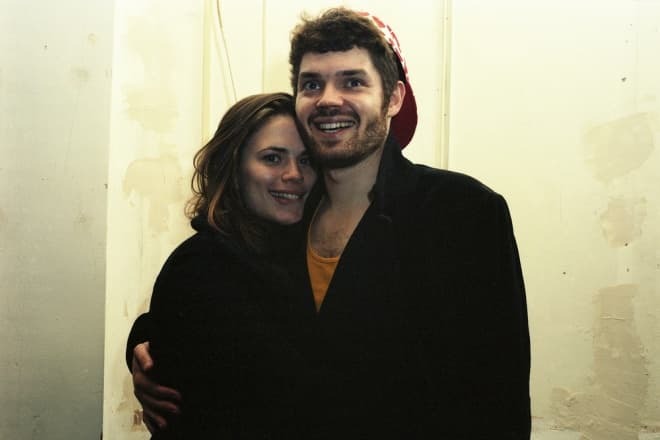 In 2005, Hayley Atwell appeared on the screen in the ad of Pringles; she also participated in the movie Whatever Love Means. The next year brought the drama The Line of Beauty telling the story of Oxford graduates’ lives. Dan Stevens and Oliver Coleman played the main characters Nick and Toby; Hayley gained the role of Toby’s sister, the drug abuser and suicidal girl Catherine Fedden. In addition, Atwell appeared in TV movies: Fear of Fanny and The Ruby in the Smoke. In the romantic drama Mansfield Park based on Jane Austen’s prose, Atwell co-starred with Billie Piper and Blake Ritson. Hayley’s character, Mary, was an arrogant woman who wanted to grab Edmund’s fortune. However, the young man fell in love with Mary for real. When the actress was 25, she starred in Woody Allen’s Cassandra's Dream notable for the thrilling plot. The brunette caught the director’s and the crew’s attention during the auditions. Colin Farrell and Ewan McGregor became Hayley’s stage partners; the work often took place on a yacht. This project boosted the beginning actress’s confidence. The same year, Atwell appeared in the TV movie The Shadow in the North. In 2008, the creators of the drama Brideshead Revisited offered Hayley the role of Lady Julia. As the story runs, Julia falls in love with a poor artist Charles Ryder (Matthew Goode); however, she has to marry the wealthy factory owner Rex Mottram (Jonathan Cake). The drama The Duchess followed; Hayley played Elizabeth, the friend and the rival of the main character Georgiana Cavendish (Kira Knightley). Critics praised the movie; the project won the Academy Award for Best Costume Design. Atwell gained the British Independent Film Award and London Critics Circle Film Awards. In 2009, Atwell played Lucy in the movie The Prisoner. The 2010 series The Pillars of the Earth nominated for the Golden Globe Award followed. The story was based on the real-life events which had happened in medieval England; Hayley played the lover of the rich nobleman William (David Oakes). The same year, the actress participated in the project Any Human Heart telling the story of the writer Logan Mountstuart. Hayley played his lover Freya Deverell. Gillian Anderson also starred in the mini-series and played Wallis, Duchess of Windsor and the British King’s wife. 2011 brought Hayley Atwell the real success: the movie Captain America: The First Avenger was released. The actress got the role of Peggy Carter, the agent from the popular comics about Captain America. Later, Atwell came back to this character in the further movies Captain America: The Winter Soldier, Ant-Man, and Agent Carter. In 2012, the action movie The Sweeney telling the story of the London police station appeared on the big screen. Ray Winstone and Ben Drew played the main characters. That year, Atwell participated in Falcón and Restless as well. In the biographical drama Jimi: All Is by My Side by the director John Ridley, Hayley played Kathy Etchingham, the naïve fan of the famous musician who became his lover. The same year, Atwell appeared in the series Life of Crime and Black Mirror. In 2014, the historical drama about the First World War Testament of Youth came out; Hayley took the secondary role. In 2015, the actress starred in the modern version of Cinderella created by Walt Disney Pictures; she played the main character’s mother. The Hollywood star Cate Blanchett personified the girl’s stepmother. 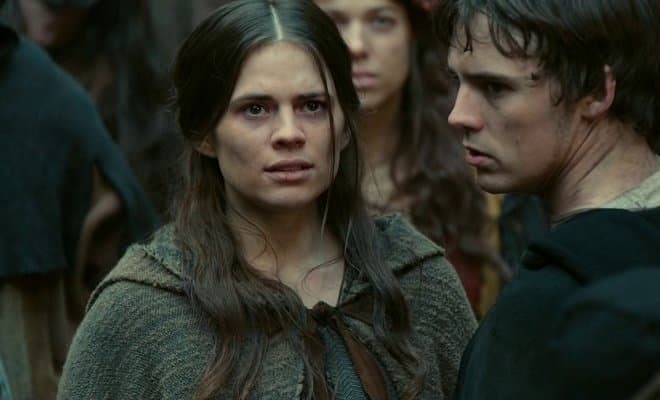 Loved by numerous fans, Haley Atwell cannot complain about the lack of attention. The actress does not feel like changing her relationship status and emphasizes she is not ready to be a caring wife and mother. In 2012, Atwell was seeing the guitar player Paul Wilson. The next year, the radio presenter Stephen Merchant became Hayley’s boyfriend, but the affair did not last long. Nowadays, Haley is dating the scriptwriter and director Gabriel Bisset-Smith. The woman told journalists their relationship was warm and emotional; she had never felt anything like that before. The actress has the Instagram and Twitter accounts where she posts her personal photos. In 2016, the premiere of the legal drama series Conviction took place on ABC. 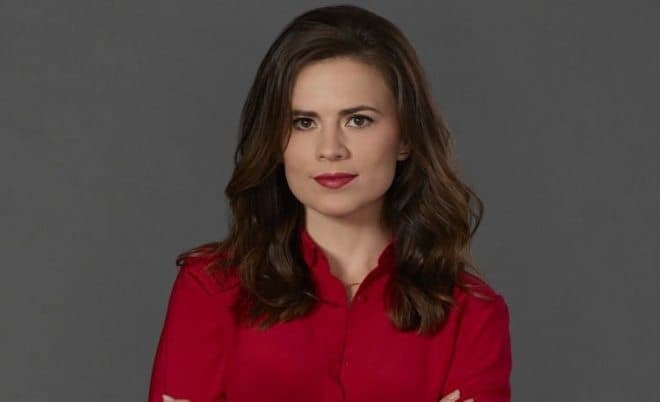 Hayley Atwell got the lead role of the lawyer Hayes Morrison. The mini-series Howards End is one of the actress’s recent works.